Around thirty percent of the population has flat feet. That means no defined arch, so the entire sole of your foot touches the ground and absorbs the impact when you walk. When you have flat feet as I do, you understand the struggle find quality work footwear that feels comfortable for long hours on your feet. 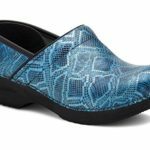 We have found work shoes that offer extra support for people with flat feet, and these shoes are suitable for a variety of professions. These are our picks for the best work shoes for flat feet. 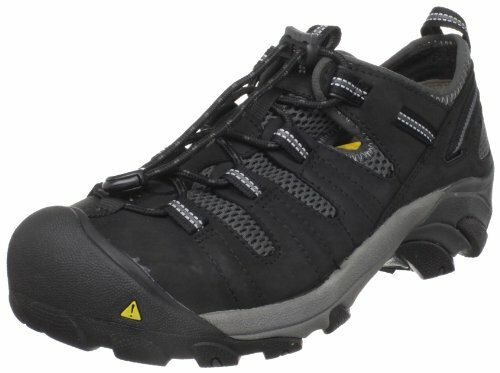 Built to last, the KEEN Utility Men’s Atlanta Cool Steel Toe Work Shoe combines the comfort of a hiking boot with a safety work shoe. With a waterproof leather and mesh upper, the Atlanta can stand up to the messiest work conditions. The rubber outsole has excellent traction, and it is slip-resistant and oil-resistant. A defined 1.25” heel combined with the dual-density EVA memory foam in the midsole and the removable insole absorbs impact as you walk. This protection keeps you more comfortable for long days on your feet. As with most safety work shoes, the Atlanta’s steel toe meets ASTM standards, keeping your toes safe from falling objects. They are the ideal shoe for working on construction sites, industrial sites, or any other environment that require safety footwear. 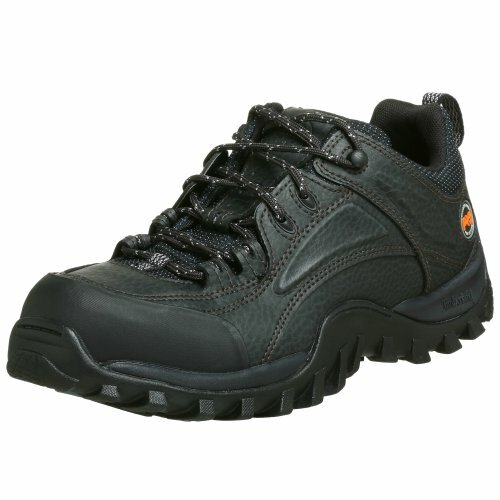 KEEN Utility designed the Men’s Atlanta Cool Steel Toe Work Shoe for ultimate comfort. An interior mesh liner breathes well in warmer weather, and your feet will stay dry throughout the day. A roomy toe box gives you enough wiggle so that your toes don’t feel cramped. The back of the shoe fits snugly against your heel, eliminating rubbing and blistering. These shoes are so comfortable that they feel like you are wearing tennis shoes. There is a mild-break in period with the Atlanta which shouldn’t last more than a week if you wear them consistently. The shoe is a bit heavier than most low-rise shoes because of the steel toe protection. 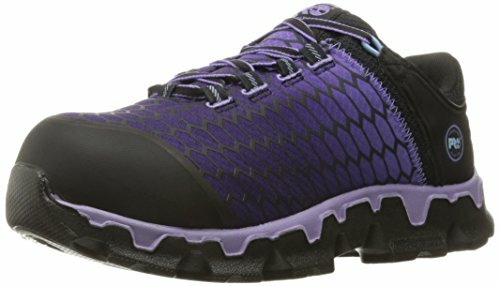 KEEN Utility’s unique lacing system, with elastic laces with an adjustable stopper, take some time to get used to if you are used to lace-up shoes. The Atlanta’s should last you about a year if you wear them, but they can fall apart sooner if you are rough on your shoes. 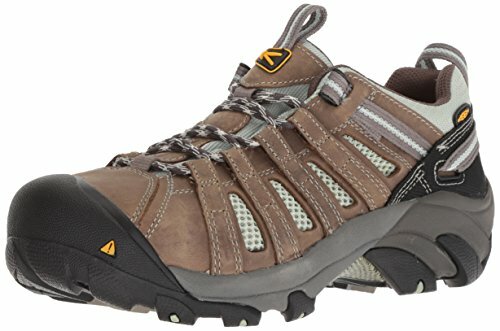 The moderately-priced KEEN Utility Men’s Atlanta is our pick for the best men’s work shoe for flat feet because of their protection and comfort. Women in construction jobs often have trouble finding comfortable safety shoes, especially if they have flat feet. Timberland is one of the leading manufacturers in durable and stylish work footwear. The Timberland PRO Women’s Powertrain Sport Alloy Toe SD+ Industrial and Construction shoe is a comfortable and sturdy shoe suitable on a variety of construction sites. Its alloy safety toe is lighter than a steel toe, but it offers equal protection. 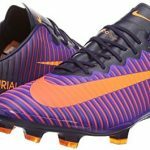 It passes ASTM standards, along with the shoe’s electrical hazard protection. 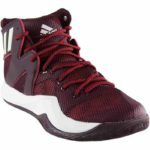 The upper also includes a toe bumper for even more protection for the most sensitive part of your feet. With a nylon textile upper, the Powertrain is breathable in any climate, keeping your feet comfortable. The padded interior of the shoe supports the whole foot, and the roomy toe box prevents blistering. The Timberland Women’s Powertrain has a synthetic rubber outsole that is slip-resistant and oil-resistant, and it has excellent traction. This dual-density outsole also has Anti-Fatigue technology to eliminate soreness during long hours on your feet. With a fiberglass shank in the midsole, the Timberland PRO Women’s Powertrain has shock-absorption for uneven terrain. The shank also keeps the midsole bendable so that it will move with you. There is a mild break-in period with the Powertrain, but this shouldn’t last longer than a week or so. They do run large and wide, so you should invest in a size down to get the right fit. The only real downside of the Timberland PRO Powertrain is that it isn’t waterproof. They are water-resistant, so they are okay to wear during rainy days. With consistent use, the shoe will wear down in about a year. However, unlike other work shoes, the inside will break down before the exterior. With so many benefits and few drawbacks, the moderately-priced Timberland PRO Women’s Powertrain Sport Alloy Toe SD+ Industrial and Construction Shoe is our pick for the best women’s work shoe for flat feet. Even when you don’t work in construction or hard labor professions, finding a good pair of work shoes can be difficult. When you have flat feet, you need shoes that are not only durable enough for your job, but you also need enough comfort for your flat feet. 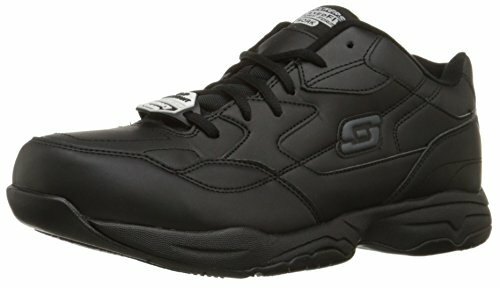 Skechers is a popular footwear company that manufactures a line of work shoes and boots for customers in several professions. The Skechers Felton Work Shoe is ideal for those in food service, customer service, or labor jobs without the demands of a safety toe shoe. With a slip-resistant and oil-resistant synthetic outsole, the Felton has a 1” platform and a 1.25” heel for shock absorption for long days of walking and standing on your feet. The shoe follows all OSHA regulations, and it is incredibly comfortable. With reinforced stitching in the synthetic leather upper, Feltons last longer than other work shoes. Since comfort is key during long work days, this shoe has a padded tongue and collar, with a fabric lining along the interior. The shock-absorbent midsole and memory foam heel diffuse impact to prevent foot fatigue during long stretches of standing and walking. If you have certain needs for your feet, the insole is removable for your own custom insert. Due to the leather upper and fabric interior, the shoes do not breathe as well as some other non-slip work shoes. There is a mild break-in period for the leather upper to stretch. These shoes aren’t the quietest on the market, and they squeak on certain floor types, such as marble and tile. The Skechers Feltons run narrow, so you’ll have to order a size up from your standard size. They do fall apart within a year of use, but they are so budget-friendly that you can buy multiple pairs. The Skechers Felton Work Shoe is a great option for workers who walk and stand for the majority of their work hours. When it comes to safety work footwear, Timberland is a leader in the market. Construction workers and mechanics wear Timberlands for their long-lasting design and comfort. The Timberland PRO Men’s 40008 Mudsill Low Steel Toe Shoe is a moderately-priced and lightweight work shoe with all of the protection and support that you need for your flat feet. A thick rubber outsole is slip-resistant and oil-resistant. The Mudsill’s steel toe and electrical hazard protection meet ASTM standards. 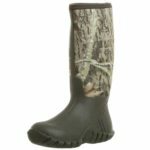 A water-resistant leather upper protects the tops of your feet from lacerations or other injuries, and an antimicrobial mesh lining on the interior keeps your feet dry and comfortable. The reason why construction workers and other laborers return to Timberlands over and over again is that they are extremely comfortable. Timberlands have a 24/7 PRO Comfort Suspension System to reduce foot fatigue. A nylon shank shock-diffusion plate absorbs impact from walking, keeping pressure off of the heel and ball of your foot. An EVA memory foam midsole and an Ortholite polyurethane insole mold to the shape of your feet. This makes standing and walking on uneven terrains more comfortable. If you have foot conditions that require an orthotic or another specialized insert, the insole is removable. The best feature of the Timberland Mudsill is that there is no break-in period: you can wear them as soon as you get them. These shoes do run small and narrow, so it is best to order a full size up from your regular footwear. After about a year of consistent use, the back heel area wears down. The lace hooks are also flimsy, so use care when lacing your shoes. Overall, the Timberland PRO Men’s 40008 Mudsill Low Steel Toe Shoe is a great investment for a quality, comfortable safety work shoe. In another quality model by Skechers, the Skechers for Work Men’s Flex Advantage Slip-Resistant Mcallen Slip-On Shoe matches the protection of a work shoe with the convenience of a slip-on. This budget-friendly slip-resistant work shoe is ideal for jobs that involve standing and walking all day, including security and supervisory work. The fabric upper has reinforced stitching for durability, with side elastic gorings for a quick slip-on. The 1.25” heel is shock-absorbent, taking pressure off of your heel as you walk. Made for comfort, the Flex Advantage has a memory foam insole, a padded collar, and an interior fabric lining. The insole is removable if you need an insert with more support. Since the fabric upper is so stretchy, it may alter the size of the shoe after the short break-in period. It is also hard to clean, so the Flex Advantage isn’t ideal for professions where spills are a possibility. The back of the shoe is flimsy, breaking down in about a year with the repeated motion of slipping on and off. To help your shoes last longer, invest in a shoe horn. 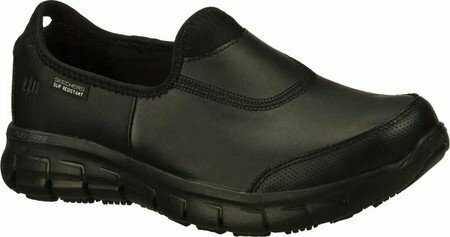 Although it doesn’t have safety-toe protection, the Skechers for Work Men’s Flex Advantage Slip-Resistant Mcallen Slip-on is a comfortable work shoe with enough support for people with flat feet. The budget-friendly Skechers Women’s Work Relaxed Fit Sure Track is a comfortable work shoe designed for a woman’s foot. 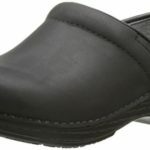 This relaxed fit slip-on work shoe has a water-resistant leather upper that is easy to clean, with protective overlays over the heel and toe. The synthetic rubber outsole has excellent traction, and electrical hazard protection passes ASTM standards. If you walk long distances, you’ll love the shock-absorbent FlexSole midsole that diffuses impact and moves with your natural stride. A roomy toe box protects your toes from blistering, and a toe bumper prevents accidental injury if you stub your toe against a hard surface. Since these shoes have no break-in period, workers in retail, medical, food service, and office professions favor them. They don’t have to spend weeks trying to break in new shoes while keeping up with their hectic schedules. The Skechers Women’s Work Relaxed Fit Sure Track rides high on the foot close to the ankle to keep your feet more comfortable. There is only memory foam support in the heel, but the insoles are removable. We suggest ordering a ½ size up if you have a custom orthotic. These shoes do run large and wide, and they don’t breathe well. The synthetic soles also squeak on hard flooring. While the Skechers Women’s Work Relaxed Fit Sure Track has a few drawbacks, their benefits make them one of the best budget-friendly options on the market today. If you prefer a comfortable work shoe that looks and feels more like a tennis shoe, then the Fila Memory Foam Workshift Cross Training Shoe is the best option for you. With a slip-resistant rubber outsole with good traction, these shoes stand up to slippery work conditions. A memory foam insole contours to your whole foot, giving you great support for long days on your feet. The leather upper has synthetic overlays and small holes on the side to help your feet breathe. 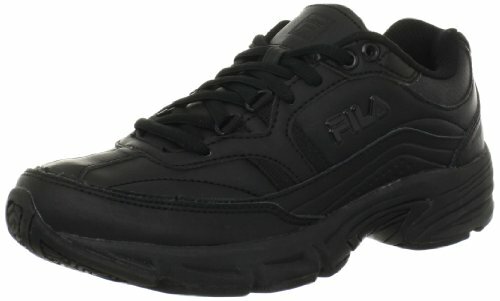 Although Fila designed the Workshift for wide, flat feet, they do run narrow with a tight toe box. For the best comfort, order a size up from your normal athletic footwear. The insole isn’t removable, unlike other work shoes. If you need more support for your feet, order up to two sizes larger than your standard size, depending on the thickness of the insert that you prefer. With the thick rubber outsole and the leather upper, these shoes can feel heavy during the mild break-in period. The Fila Workshift holds up well, falling apart after about a year of constant wear. With the comfort of the memory foam insole and the breathable holes in the upper, you will probably wear them outside of the workplace. They are a great budget-friendly option for women who like the look of an athletic shoe with the protection of a great work shoe. KEEN Utility is a trusted name in safety work footwear, creating comfortable and durable shoes for the most intense work environments. As one of the most comfortable safety work shoes for women on the market, the KEEN Utility Women’s Flint Low Work Shoe has all of the protection that you need with extra support for your feet. The oil-resistant and slip-resistant rubber outsole is suitable for uneven terrains, and a contoured heel keeps you safe when climbing ladders. This ASTM-certified steel toe work shoe has a waterproof 100% Nubuck leather upper and a moisture-wicking interior to keep your feet completely dry all day. For women with flat feet, extra support is essential in your shoes. The KEEN Utility Flint has a compression molded, dual density EVA memory foam midsole with a torsional stability shank. This reduces stress on the heel and ball of your foot. The insole also has EVA memory foam for more comfort on the bottoms of your feet. Although the Flint has great support, they don’t have enough cushion if you walk on cement all day. These shoes do run small, so you’ll have to invest in a larger size. Unfortunately, these shoes don’t breathe as well as other work shoes, so wearing thinner socks will help keep your feet from overheating. Since they are a steel-toe shoe, they can feel heavy during the first few wears. There is a mild-break in period to stretch the leather, but this shouldn’t last more than a week of continuous wear. With a moderate price tag, the KEEN Utility Women’s Flint is an investment worth making for a comfortable and protective work shoe. With so many work shoes on the market today, it can be challenging to choose the right one. People with flat feet need the right balance of the protection they need on the work site with the comfort they require for their sensitive feet. While any of the shoes on this list would be selections for workers with flat feet, we recommend the KEEN Utility Men’s Atlanta Cool Steel Toe Work Shoe and the Timberland PRO Women’s Powertrain Sport Alloy Toe SD+ Industrial and Construction Shoe. Both models offer all-day comfort plus the protection you need for the roughest work sites.